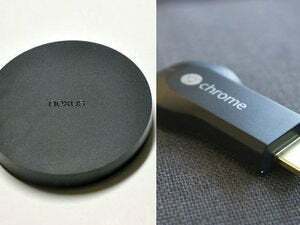 Google just keeps adding capabilities to its Chromecast streaming stick. That's something you don't often see with a device that costs just $35. The latest addition? Party games. Visit the Chromecast apps page, and you’ll have the choice of downloading a selection of Android or iOS apps that can either play videos&nbsp;or play games. Some have been developed by Google itself (Google Creative Lab is listed as the author), while others are existing third-party apps that can be projected on to your TV’s screen. So far, the apps appear to be versions of games you’d either watch on TV or play on family game night: Wheel of Fortune, Monopoly, Connect Four, and trivia. With the exception of Just Dance Now, which tracks the physical movements of your smartphone to evaluate your dance moves, the vast majority appear to use your smartphone or tablet as a physical controller that’s wirelessly connected to the Chromecast. Using Google’s Big Web Quiz, for example, you enter your answer via the phone. The Chromecast identifies the first player to come up with the correct answer. 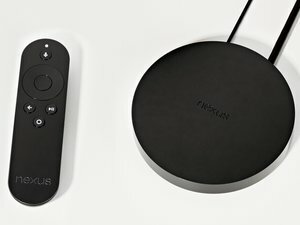 Don't expect the Chromecast to be any serious competitor to the Nexus Player, the living-room device Google launched just a short time ago (it has an optional game controller). So far, however, Google has said that the Nexus Player can play games, but really hasn’t listed which ones are officially supported. And while games may be the showcase for this Chromecast update, there are two other biggies: Showtime Anytime and the Starz app. With this, Google's pretty much locked in the major streaming services (its Chromecast already supports HBO Go, Netflix, ESPN, MLB.TV, and YouTube). Why this matters: Google keeps on tossing in more and more reasons to buy its $35 streaming stick. I suspect that most of the games will be novelties that Chromecast owners try out once or twice, although apps like the Big Web Quiz could have some staying power—or, alternatively, a Chromecast-enabled version of You Don’t Know Jack (which is already available on Android). Some families may prefer to sit around the dining room table to play games like Parcheesi or Clue; however, if Google can grab enough game licenses (and with its deep pockets, why can’t it?) Chromecast could become a casual gaming platform, too.